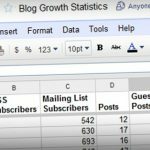 Did you just start your blog because you were impressed by the numbers of visitors quoted by A List Bloggers? Well, you are not the only one. When you read about people getting millions of visits on their website and thousands of leads through their blogs it is only natural you will want to try it yourself. But after 5 or 6 months you realize that it is not working for you. Why? Where have you gone wrong? What blogging mistakes did you make in the process? People are judgmental. They will judge your entire article with your headline as that is the first thing they read. If you go by the numbers provided by copyblogger, 8 out of 10 people will read your headline but only 2 will proceed to read the entire article. So if you have some amazing content in your blog and want people to read it and share it, then make sure to write an equally amazing headline if not better. How to write amazing headlines? 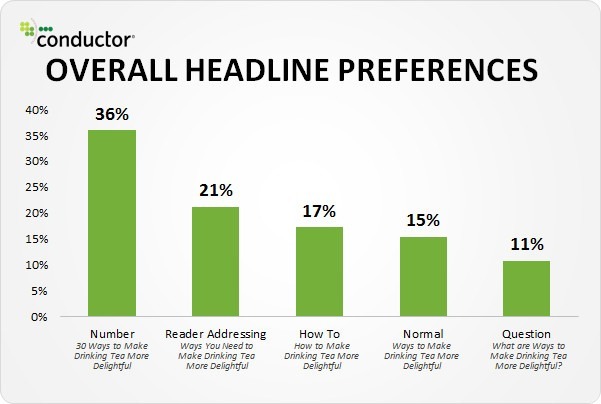 => Try adding a number or some data in your headline. Number headlines work the best among people. Don’t believe me? Below is the proof. Address the reader by using ‘YOU’ in your headline. When you use the word ‘you’ in your headline, it will make your post conversational, which will make the reader feel important and everyone loves to be important. Not just in the headline, use the conversational tone throughout your blog. Humans are driven by emotions, so make sure that your headline has some emotional quotient. You can use the Emotional Marketing Value Headline Analyzer that will help you to know the emotional value score of your headline. It is a free tool that is very easy to use and will help you avoid this blogging mistake. Decide who is your target audience? Whether it is humans or robots? Writing only for Google will take your blog nowhere, in fact you just might be penalized by them, so stop stuffing those keywords in your blog post. Yes, it is important to have content that is SEO friendly but it shouldn’t be at the cost of creativity. How to write content that is both reader and SEO friendly. 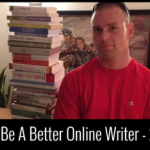 => Think about the writing good content first and then about SEO. => Make sure that your content has the ‘share value’ i.e. people would want to share that content after reading. => Create content that will help the user in some or the other way. => After writing awesome content you can use Yoast SEO plugin which is very helpful for WordPress bloggers. Through this plugin, you can check the number of times a keyword was used, check the length of SEO title and meta description etc. => Add social sharing buttons, and include open graph and knowledge graph meta data to make sure that your article looks good when shared. => If you have taken references from somewhere then link the sources as it will improve the trustworthiness of your article for Google. => Keep in mind all the On page Optimization steps and follow them correctly. Around 2 million blogposts are written everyday and if you want to stand out among them then it is only possible through marketing. Your blog post may be very good but if it is not reaching out to the right people then it is not serving its purpose. 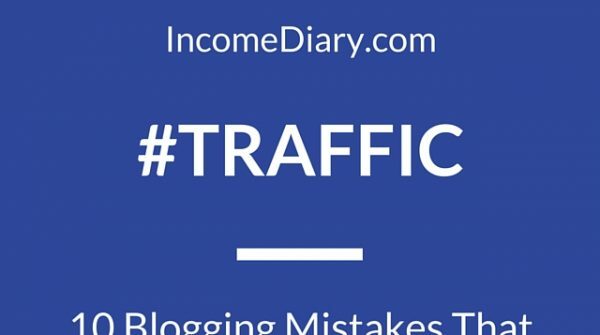 You cannot expect traffic through blogs if you don’t promote them. 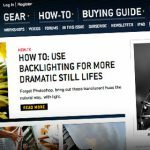 How to market the blog? Social Media: Share your blog on all the major social media platforms. 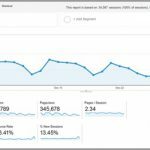 Content Submission Sites: Submit your content on content submission sites like BizSugar, Growth hackers, Inbound.org, Hackernews, StumbleUpon, etc. Emailer: Start an email subscription for your blog and send out an email every time you publish a new blog. Contact Sources: If you have used any sources in blog then make sure you can contact them and let them know about it. It may result in sharing and linking. You can reach them out through Email, LinkedIn or Twitter. Contact influencers: Try contacting people who have previously shared similar kind of content and who have strong following. You can do this with the help of BuzzSumo. You can enter the topic in the search bar and you shall get a list of similar topics and their shares. Click on view sharers and you can find the people who shared the content. You can contact them via Twitter and see if they are interested in sharing your piece as well. Content Marketing Tools: There are so many content marketing tools available in the market. Some of them are free – so use them and see what works best for you. If the tool is a paid one, check if free trial is available and see if that is working for you. A picture speaks a thousand words and, if it is an infographic then even more. If you don’t have visuals in your article then it gets too boring to read and the reader might just leave the page. So make sure you use relevant images in your article and also give alt tags to them. 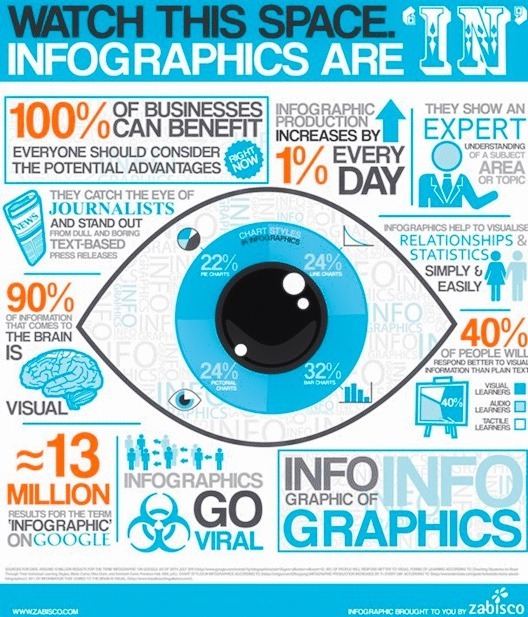 If your Infographic is good enough, then the chances of it getting linked on other sites is much higher which in turn will also increase the traffic of your site. How to create good images and inforgraphics? 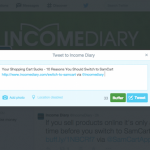 You wrote a decent article, you promoted it well, now what? Now comes the most important part which many of you ignore and that is monitoring and measuring results. =>Which of your blogs performed the best? =>What was the traffic source of that blog? =>How long people stayed on that page? =>How did they navigate through your website? =>What were the demographics of the people who visited your page? 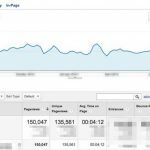 You won’t get answers to any of these questions if you don’t monitor your results and thus, you can’t make any conclusions about your blog or any improvements. How to Monitor and Measure Results? Well, this one is quite simple. 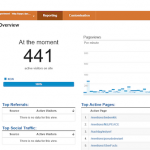 Install Google Analytics and spend some of your precious time reading guides about it. Being too self centered while blogging is not advisable. The reader did not open your article to read about your success stories and benefits of your products. As a blogger, it is your job to help the reader find some useful information, guide them in some decisions or just inspire them. If your blog does not help them in that then trust me you have lost your audience. What type of articles you should write about? How-to articles: People always depend on Google when they are doing something new or when they are stuck in a problem. So you can always provide them solution with a ‘How to’ article with step by step explanation. Lists: Competition is a great thing and everyone is always curious to know who is ahead of whom so make a Top 10 list or Top 20 list and see the results. Case Studies: Case studies work really well as it covers somebody’s success or their failures and people are always looking for reference that they can follow or avoid. A poorly formatted blog = people leaving your site in less than 10 seconds. Formation of your blog plays an important role in deciding whether your audience will read your entire article or if they leave. Make sure your article has properly formed paragraphs, if you are mentioning pointers then use bullets, see that there is enough white space between two points, make sure that you use simple fonts, if it is a heading then bold it. Overall make it a point that your blog is pleasing to the eye. 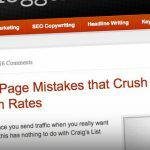 Along with these factors, you should also keep in mind the formatting options that affect On Page Optimization. 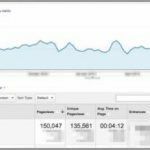 Which On Page optimization factors you should keep in mind? 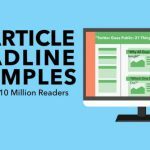 =>Use H1, H2 and H3 tags for your headlines. 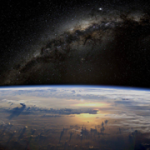 =>Add title tag for all the links. =>Add alt tags for all the images. =>See if any of your previous article can be linked with present one, if yes the add them. =>Check if there is any room for adding keywords. Even after the Google’s Mobilegeddon Update, if your blog page is not optimized for mobile then no one can you help with the traffic. 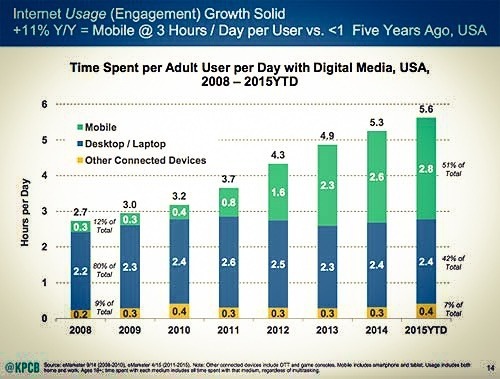 In 2014, mobile overtook the desktop internet usage so the probability of people viewing your blog on their mobile screens is much higher than on desktop. So make sure that your blog is mobile friendly and if there are any links to other landing pages, see to it that they are mobile friendly too. If you allow comments on your Blog – do not ignore them. If you are ignoring the comments then it means that you are ignoring your audience. You must have taken a lot of time and effort in writing and promoting your blog so spare some more time to reply to your audiences. Let them know that their views matter to you. Even something as small as Thank you can go a long way. If someone has a problem, then try to give them the best possible solution. Even if it is a negative comment, don’t just avoid or delete it, just try to answer it tactfully. Why you should start replying to the comments? =>Because it makes your audience feel important. =>Because it builds your own credibility and helps you to come out as a though leader. =>Because more comments means more popularity. =>Because comments can give you an idea for your next blogpost. 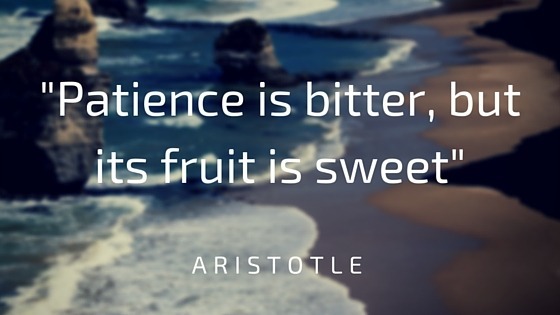 Look, early results sometimes happens – but patience is the key to success, both in life as well as blogging. I have come across many instances where a person or brand comes to a conclusion that blogging is not working for them within only 2-3 months of starting. Expecting early results is one of the biggest mistake one can do while blogging. Sure, some people are lucky and hit bog traffic quickly (because they had something unique and timely for the market) but the truth is that success with blogging takes consistency. Always think about the reader – what is their interest? what do they need help with? Combine that with creative and engaging headlines for success! Jinal works as a Digital Marketer at EduPristine. She is passionate about learning, sharing and developing her knowledge in the field of Digital Marketing.